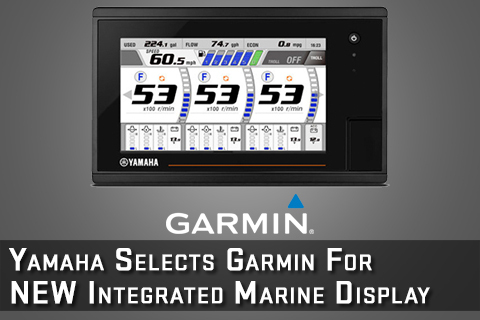 We are excited to announce that Yamaha Marine Group has selected the Garmin 7-inch GPSMAP multi-function display (MFD) platform to power its new CL7TM multi-touch display. As the primary display for Command Link Plus® and Helm Master, Yamaha’s fully integrated boat control system, the CL7 is fully network capable for NMEA 2000 and the Garmin Marine Network. Full-network compatibility allows the user to add multiple Garmin screens, sensors, sonar, weather, radar, autopilot, Fusion Link, IP cameras and more with full system integration and sharing across the entire system. The CL7 will be standard for Helm Master and will be the premium display for all Command Link Plus outboard engines starting in May 2017. 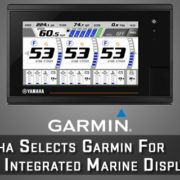 The new CL7 touchscreen display becomes the primary display for Command Link Plus systems as well as Helm Master. It is the required point of access to Yamaha’s new Set Point™ boat positioning function, and offers precise and user-customizable engine and boat systems data for up to four outboards on one screen. The CL7 is offered in two models: one with built-in detailed BlueChart g2 U.S. coastal and LakeVü HD maps, and one with a worldwide basemap. Be sure to stay in tune with all things salt life, by following Garmin Marine on Instagram and Facebook. Be sure to share your stories with us on social media using #GarminMarine or tagging @GarminMarine.